Abandoned home in Elkmont, TN. 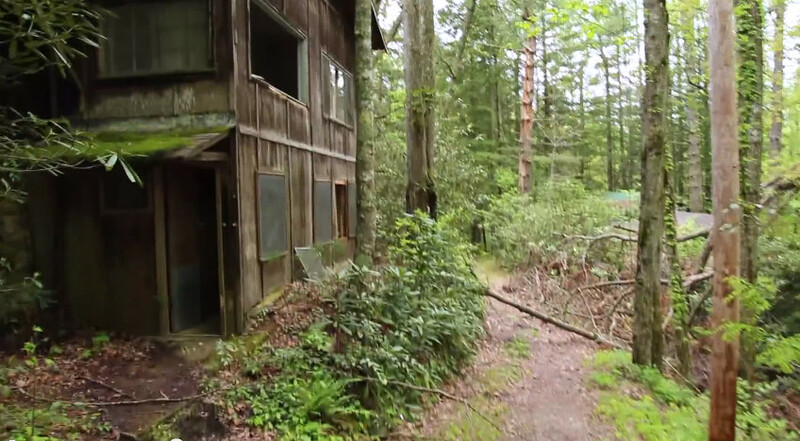 A hiker in the Great Smoky Mountains National Park was surprised to find a ghost town in the Tennessee wilderness named Elkmont, including a small hotel called the Wonderland. When vast tracts of land were incorporated into the park decades years ago, several towns went with them. Park developers seldom had the time or money to tear them down, so these lost mountain towns remained standing to be overgrown by the forest. They serve as gaunt reminders of days gone by. Other towns were covered by the impoundment waters of the Tennessee Valley Authority’s hydroelectric reservoirs. 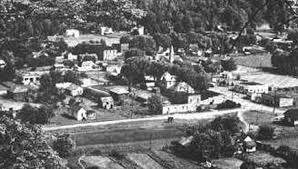 Perhaps the largest of these was the town of Butler, Tennessee (pop. 430), covered by Watauga Lake in 1948. Residents moved to higher ground and built the present-day town of Butler, but their descendants still gather on the second Sunday of August to celebrate Old Butler Days and reminisce about life in the submerged town. Abandoned mountain towns are much like their former residents in that respect: Time and natural elements may alter their visage, but their spirit lives on.